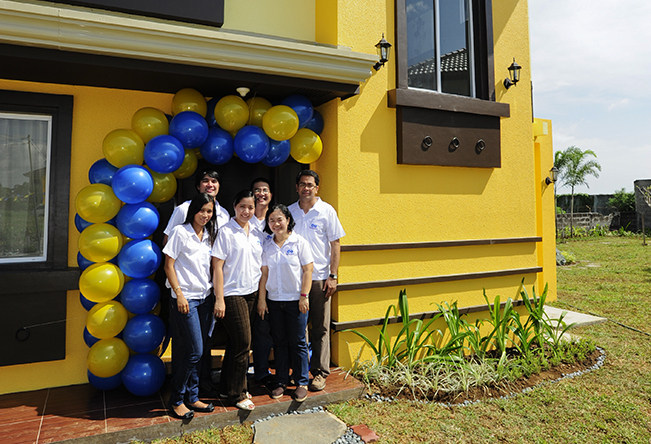 Earth + Style Corporation recently unveiled the Shanri and Vana house models of Jubilation East Expansion in Jubilation New Biñan, Laguna. Inspired by Jubilation East Expansion’s tagline, Life…the Way You Want It, the houses were designed to suit the vibrant lifestyles of large or growing families. Both houses are Asian-tropical inspired amidst a suburban background. It comes in three 2-full storey layouts with four various hues to suit different tastes. House areas range from 108 sq.m. to 140 sq.m. with a minimum lot area of 168 sq.m. Present during the blessing of the units are Earth+Style Corporation’s officers led by its general manager, Raymond Alonso and deputy general manager for sales, Tyrone Luna. For inquiries, contact 0929-5917085.